The Trade Desk is an advertising technology company, currently experiencing unbelievable growth as it serves a global market hungry for data-driven digital advertising. To accommodate their rapid expansion in Asia, a new office in the heart of Tokyo was a perfect choice – located in the exceptional Ginza six complex. 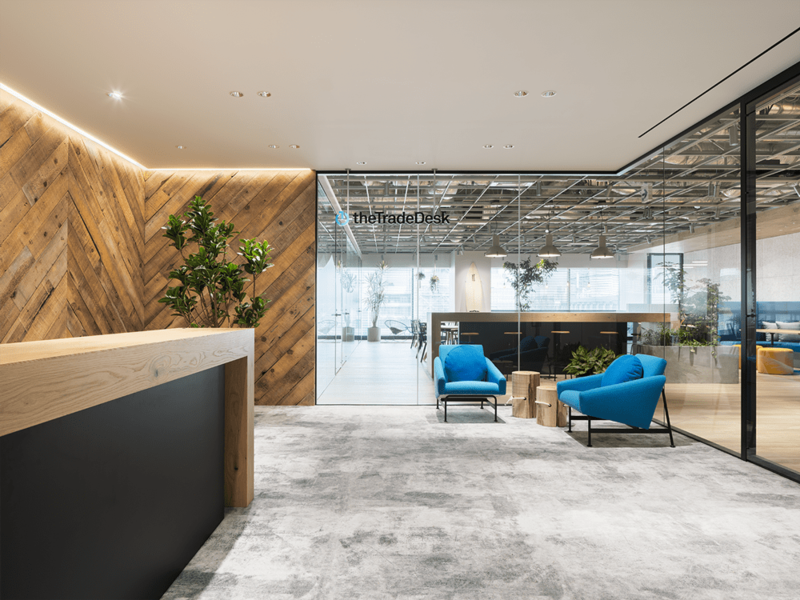 At the request of the country manager, our SL+A Tokyo team was up for the challenge to infuse a fun and relaxed “west coast” vibe into the brand-new 811.7 sqm office space. With strong influences from the Ventura, California head office, employees and visitors to the office can enjoy airy communal spaces and a modern nautical feel at every turn. 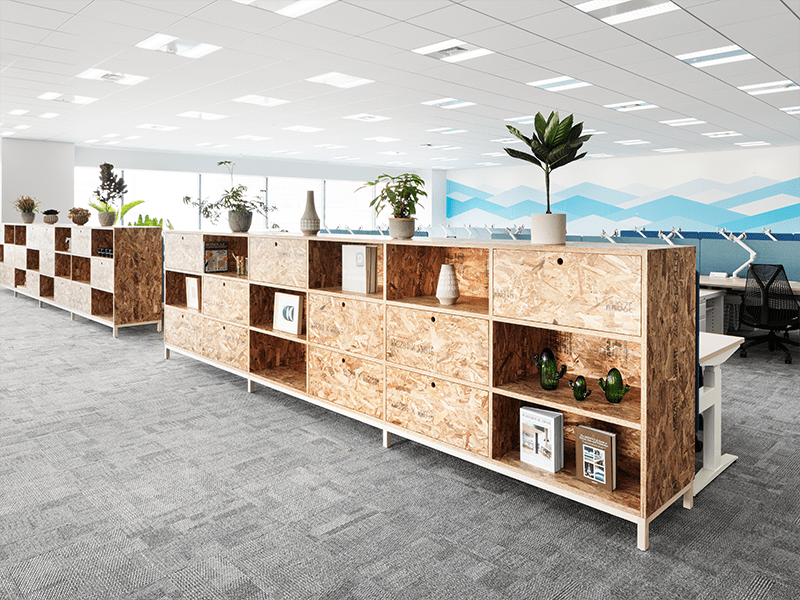 A flexible open office concept contains collaboration tables in the form of surfboards which can be replaced or supplemented with more than 60 individual workstations. SL+A designers envisioned a space that could maximize productivity while keeping a consistent visual palette of oceanic hues mixed with warm tones and beautiful solid wood furniture. Greenery is ever present throughout the office, conveying the importance of connecting with nature. The “Social Hub Area” was strategically placed within view of the front reception desk, making it easy to immediately understand the Trade Desk culture – this is the place where collaboration, innovation and unparalleled service is paramount. Personal interactions and a deep understanding of what drives solutions often culminates in this energetic social hub, a place where the magic happens. Several full celling to floor glass walls divides the space, allowing plenty of natural light to filter into the office to refresh and invigorate the senses. Desk founder is a unique signature piece that encourages creativity and fun in the workplace so truly incredible results can occur.